Welcome to Steller Air! We are a floatplane charter service offering flights throughout Alaska from our base on Beluga Lake, near Kachemak Bay, in Homer, Alaska. We provide services such as bear viewing, flightseeing tours, and customized charters to remote areas of Alaska with our most popular summer trips being brown bear viewing excursions and scenic flight tours. On any one of our flights, you will have the opportunity to see the beautiful mountains, volcanoes, glaciers and wildlife of Alaska. Let Steller Air’s experienced bush pilots show you a real Alaskan adventure by floatplane. We provide regular service to the Kenai Peninsula, the Alaska Peninsula, Anchorage, Prince William Sound, and Bristol Bay. 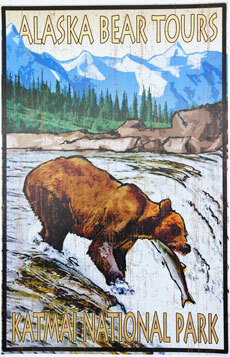 Our bear viewing trips can take you to Lake Clark National Park or the popular Brooks Camp. Any of our trips can be customized to fit your needs. Contact Steller Air to help plan your Alaskan vacation. With bear viewing, fly-in fishing, hiking, camping, kayaking, paddle boarding, and scenic flights over glaciers and volcanoes, the possibilities are endless. Come experience Alaska’s wilderness of glaciers, mountains, lakes, rivers, and wildlife with Steller Air. Reserve your flight today!